Your beloved brother is your partner-in-crime with whom you share all your secrets and have witnessed the best moments of life. Be it his birthday, anniversary or Graduation Day, leave no stone unturned to make him smile through our fabulous gifts for brother. Our delightful range of gifts will help convey your unconditional love towards him in the most beautiful manner. Your brother has been for you throughout your life and that’s why it can be truly heartbreaking if you are not physically present on your brother’s special day! Be it a birthday or anniversary, your presence counts the most. And if you are stuck in a meeting or office assignment, use our online best gifts for brother that can make him smile effortlessly. Once you place the order, we would help you with the gift delivery right at his doorstep within the scheduled time period. It is definitely going to make a strong impact on your sibling relationship and you can easily buy the perfect gifts for brother through our online gifting store. We can provide you multiple gift ideas for brother which are much more than personalized gifts. You can also send a stunning bouquet of fresh flowers, a box of assorted chocolates, a bag of exotic dry fruits, personalized cakes or can also choose from our plethora of gifts for men online to make his day even more magical. So, even if you haven’t planned much for his special day ahead of time, you can still make him feel special and important with our Ferns N Petals store. A brother is the first best friend we all have in our lives and this friendship is the truest of all the relations we form in our lifetime. So many memories of fishing to robbing the chocolates are still fresh in our mind. Bring back all those lovely memories spent with him by presenting him a personalized photo frame as a special birthday gift for Bhai. Along with that photo frame, you can include some sweets, chocolates, soft toys, perfumes, leather belt and others for the birthday anniversary of your lovely brother. You can also send these exciting Rakhi gifts on the auspicious occasion of Raksha Bandhan along with a wonderful Rakhi for your brother. Similarly, you can express love and affection towards your brother through extraordinary Bhai Dooj gifts that can be handpicked by your loving sister. Brothers can also send Bhai Dooj return gifts for their sisters to convey their sibling love. On the occasion of his marriage, you can order a large three or four tier cake through our reliable cakes delivery services. In terms of cakes, we have butterscotch, strawberry, red velvet, mango, pineapple, and other enticing flavors. Plus, you can also enjoy cupcakes, muffins and other half kg or one kg cakes on various special occasions. If you want to delight your brother with beautiful flowers, send charming flowers to the desired destination with our same day and midnight flowers delivery services. You are free to send the perfect flower bouquets and arrangements or can also explore our exciting assortment of gift hampers and baskets without any delay. So, enjoy a hassle-free gift shopping for your adorable brother or any other loved ones with our online gifting store. A brother is a forever best friend. He is the one who knows you truly and his love for you is unconditional. You have shared some of the most memorable moments of your life with him. He is a great friend and secret-keeper. So, on special occasions, you must make him feel special. Ferns N Petals presents to you a world of wonderful gifts which you must check when you have to choose some nice gifts for brother. 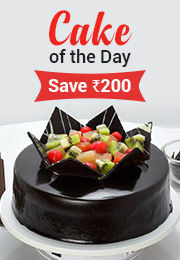 The chocolate arrangements of Cadbury or Ferrero Rocher can be gifted during Raksha Bandhan while the personalized cushions or mugs can be given on his birthday. To congratulate him on his recent professional success, don’t forget to send him a delectable cake and a box of dry fruits. We also have sunglasses, perfumes, belts, wallets, and plants which you can send your brother on other important occasions. So, use our same-day, midnight, or next day delivery services and send these gifts for men to anywhere in India.